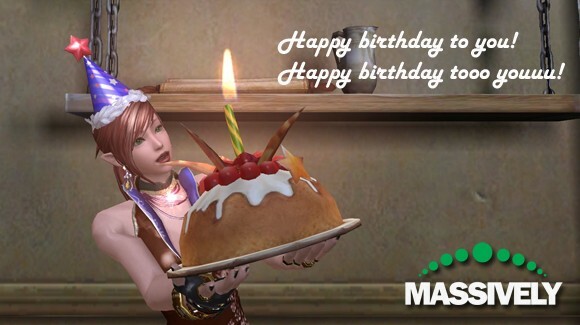 Time to double the candles on the cake for Aion! That's right -- just two short years ago on September 22nd, the world of Atreia opened its skies to a swarm of aspiring Daevas. After a rocky start including horrendous launch week queues, some Daevas folded their wings and left for bluer skies (*cough cough* nothing to see here, move along) while others stuck it out through thick and thin and grind. But even of those who flitted off, many found their way back into Aion over the last two years. And why not? Much has changed. In the past year, NCsoft has added and tweaked the game to make it a better experience for veteran and returning players alike. And that is on top of the many additions brought about in the game during the first year! 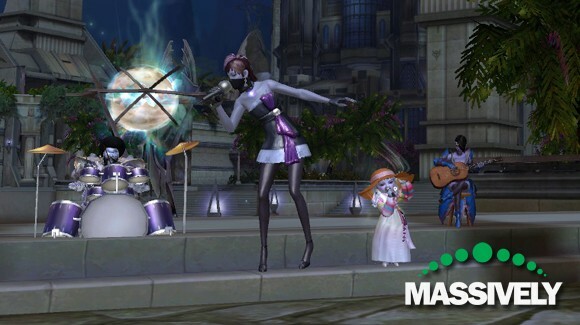 This is not your 2009 game; Aion has more content and more options. Sometimes, less is even more -- there is even less grind. Now what's a celebration without... celebrating? 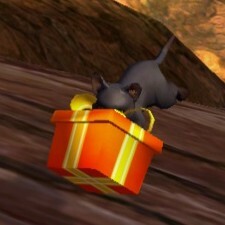 NCsoft is offering goodies galore to citizens of Atreia throughout the month-long anniversary celebration. And so that no Deava is left out of the festivities, a 10-day reactivation event will take place beginning at 11:00 a.m EDT on September 22nd and running until 11:00 a.m. EDT on October 2nd. All inactive accounts in good standing on or before September 14th are eligible for reactivation. Wondering what exactly you are missing? Catch a breeze and float past the cut as Wings Over Atreia looks at how Aion has evolved over the past 12 months as well as what gifts, goodies, and events await Daevas during the celebration. Truer words can't be said; 365 days is a long time and NCsoft has taken advantage of it by making Aion a better game. Sure there are still improvements to be made, but if you haven't set foot in Atreia in a while (or ever for that matter), now is a good time to check it out. Early in Aion's second year, a new security system was introduced to help prevent account theft. The measure has been quite a success, reducing hacked accounts significantly. Chances are much better that any characters you left way back when will still be there and fully clothed! Probably the biggest change to hit Aion during the last year was the release of Empyrean Calling in May. One of only two updates to be bestowed the honor of a name, patch 2.5 introduced more content to the game as well as a new graphics engine to make it more aesthetically pleasing. A new Balaurea fort instance, Esoterrace, gave Daevas another way to obtain AP and coveted platinum medals while the Empyrean Crucible gave groups an arena-style challenge pitting them against numerous bosses in order to earn special tokens. These crucible insignia can be exchanged for eternal grade gear, pets, or even vanity outfits. The new instances weren't all that was added; new pets, a new pet system, legion updates (including size, permissions, and new legion clothing), a new way to enhance weapons and armor (conditioning), and added skills are a few more of the changes. Eclipsing these, however, is the addition of mentoring. More than any other single change, this one breathes new life into the game because it allows people to group up and help anyone, regardless of level, without any penalty. In fact, there are rewards aplenty for mentors and mentees alike with the daily and weekly mentoring quests. Now players can join the game anew or return and still be able to play with their friends! A creation incentive program (benefiting mainly Asmodians) was also instituted in an effort to bring balance to the servers in order to bolster one of the most important aspects of the game: PvP. However, NCsoft didn't stop there, and patch 2.6 hit servers in August. Offering a new solo instance (Crucible Challenge), a new auto-grouping mechanism, new godstones, and fabled loot chests in Steel Rake and Fire Temple tied to your class, crafting updates, and a plat-pooping poppy, this patch gave Daevas just that many more options. And don't forget, Stormwing got easier!! Whether this next bit is an improvement or an annoyance is a matter of opinion: Aion's cash shop -- the NCstore -- expanded exponentially, offering once restricted pets along with limited editions of outfits, dyes, and even dances. A final addition worth mentioning is the increase in events. Last year's anniversary piece noted that "Aion does not have a good track record for successful and engaging live events." 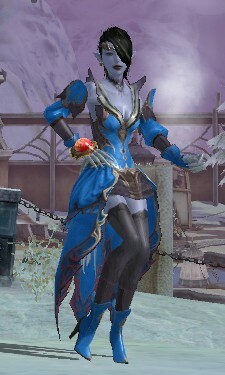 This past year, however, NCsoft has worked to remedy that by offering more events, including a fashion show. Some events were a frustrating lag-o-rama (hold on to your party hats 'cause it's happening again! ), but some of them aimed to increase participation in key elements of the game (such as reduced AP loss in certain areas). Want to experience some of these events for yourself? Well, come on! Plenty are planned for the next few weeks. In celebration of its second anniversary, Aion is running not one, not two, but five separate events -- and that is not including the reactivation event! What can Daevas look forward to? 9/7 - 10/5: Picking Up the Past Community Event (collect fossils by defeating monsters and bosses and trade them in for clothing, medals, and gift boxes). 9/21 - 9/28: For War and Glory AP Event (increases the amount of AP gained from defeating monsters in the Abyss and Silentera Canyon and also reduces the amount of AP lost from dying in PvP in both places). 9/21 – 10/5: Increased XP. 9/21 – 10/5: Increased drop rates. 9/21 – 10/26: Ascension Festival Anniversary Event (collect Ascension Energy every 20 minutes by just being logged in and trade in for costumes, hats, and gift boxes). 9/28 – 10/5: Behind Enemy Lines Rifting Event (removes the defensive buffs in Heiron and Beluslan). 9/23: Ascension Energy x 50. 9/24: 15-day recovery serum x 1. 9/25: Enchantment stone box x 1. 9/26: Major ancient crown x 3. 9/28: Felictous socketing supplements x 2 (Eternal or Fabled). 9/29: Manastone bundle x 3. 9/30: Emotion Card: Hug Me. 10/1: 30-day title (4% attack speed, 4% cast speed, 4% run speed). 10/2: Three major ancient crowns, echantment stone box and your choice of either five platinum medals, 10 gold medals, or 10 silver medals. Not enough? Then venture outside of the beautiful lands of Atreia and participate in the many contests that will be run on the forums. There will be daily contests with prizes including white, pink, and black dyes as well as outfits like the sailor and fall ones. Are you liking the sound of all these changes and the many gifts and events taking place? Are you tempted to don wings and dive back into the fray? Then do it! Jump on in and check things out for yourself! Remember, there is no cost to you to check out all of the changes over the last 12 months and catch up with old friends during the free reactivation event. Been reluctant to give Aion a try? Come on, give it a go. Now is a really good time to test those wings out (and I happen to have it on good authority you can find the game for just 10 bucks at some stores!). I tell ya, if I weren't a current subscriber, I would so jump on this chance. But even if I can't get free reactivation, I do get to partake of everything else during the celebration! And I am a sucker for surveys. *grin* I am looking forward to seeing you all there. Let's PAARRTTTAAYY!! Soaring through the Aionosphere, MJ Guthrie touches down weekly to bring you Wings Over Atreia. Featuring tips, guides, and general snippets of life in Aion, the column is better than Tutty-on-a-stick, ackackackackackack! Have a suggestion to share? No need to bribe a Shugo -- just send mail to mj@massively.com.